Christological interpretations by the New Testament authors and Luther are invalid because their false worldview. The simple reason for this is that all of their exegeses and formulations presuppose an obsolete and mythological worldview that injects an ineradicable virus of outdated belief systems into the texts. He then goes on to give an example based on Isaiah 7 and 52–53. To be sure, the uncritical reader might take Isaiah 52 and 53 to be a prediction that as the Servant of the Lord Jesus would suffer and die on behalf of mankind (“Surely he has borne our infirmities and suffered our ills…” – Isaiah 53:4). Yet, because of the context and the content of the passage at hand, this thesis cannot be substantiated. The passage concludes a cycle of four songs of the Servant of the Lord, which within the second part of the book of Isaiah (chapters 40–55) constitute a separate unit. According to these songs, the task of this “Suffering Servant” was to lead the Jews from the Babylonian exile back to Palestine and to establish a cult. Obviously these songs could not have had Jesus in mind, but rather some probably mythic and surely pre-Christian figure. This is the total of his argument which is somewhat brief and has its own unjustified assumptions. The Hebrew word almah cannot mean "virgin"
The second argument is long standing as has resulted in substantial discussion. Lüdemann has merely stated which side of the argument he sides with. Many scholars dispute his claims about the meanings of almah and bethulah. All he has done is highlight the issue, not resolve it. I do not intend to discuss this debate further in this post. Lüdemann's first argument ignores his disputable underlying premises and betrays his own chronological arrogance. I refer to chronological arrogance because some moderns seem to believe they are more enlightened than the ignorant ancients. Sure, there is much in the modern world that was not previously known. But the ancients understood many things well, often better than us. And they are probably better interpreters of their culture and worldview than us. Paul was an educated Jew in the first century well read in the Hebrew Scriptures. He interpreted Isaiah 52 christologically (Rom 4:25; 15:21) as did others such as Peter and Philip. To dismiss others who lived much closer to the time, speaking the same language, and belonging to the same culture, in a disdainful manner is unnecessary. This does not make contemporaries correct, just worthy of detailed consideration. There is mention of previous exile under Egypt and Assyria—the latter being Ephraim's exile by Assyria or Judah's future exile to Babylon—but this is not the focus of the passage, rather the Lord's deliverance of the people from these kind of events. It is this divine deliverance that is mentioned in these chapters that sets the scene for a servant in a messianic vein. It is the very presence of God himself that brings deliverance. And while aspects can be interpreted narrowly around the return from Babylon, the judgment of the nations (Isa 51:5–6), the previous judgment of Egypt (Isa 51:9), knowledge of God to the world (Isa 51:4), salvation for all people (Isa 52:10), all point to a context far greater than Babylon. The 4th Suffering Servant song itself has further contextual clues that the person was not a leader of the returning exiles, nor mythic; rather someone who brings God's presence to the world. This servant is referred to by singular pronouns thru-out this passage. He is also contrasted with Israel precluding an identification of the Suffering Servant as the nation of Israel. Also he suffered as an innocent (Isa 53:9, 11), vicariously (Isa 53:4–6, 8, 10, 12), and without complaint (Isa 53:7) to the point of death (Isa 53:8–9). The Suffering Servant is not leading a return, he is suffering and dying. And not for himself but others. This passage very much carries a messianic theme, which Christians view as being fulfilled in Jesus whose suffering and death parallel what is already in the text of Isaiah 53. I am not certain what to make of the pre-Christian and cult establishing claims of Lüdemann. The passage is about a future event from the time of Isaiah. How much in the future is not specified here. Early Christianity was viewed as a new sect at the time (Acts 24). Isaiah 53 does not obviously suggest a new cult. Lüdemann may have verses 10–12 in mind, but that these postdate the death of the servant yet he sees the outcome is a stronger hint for a resurrection. And the suffering of the servant for all speaks against a limited group that a cult would involve. Further, Christianity does not see itself as a new religion as much as a response to increased revelation from God. Contrary to Lüdeman's claim that the songs, "could not have had Jesus in mind," the immediate and surrounding context of Isaiah 53 points to God redeeming a people to himself by his use of a servant who would suffer and die for the transgressions of others. Not only is a Christological interpretation possible, is it doubtful any other person has laid a valid claim to this passage. Christianity, and nothing else, is the ultimate foundation of liberty, conscience, human rights, and democracy, the benchmarks of Western civilization. To this we have no other options. We continue to nourish ourselves from this source. Everything else is postmodern chatter. Jürgen Habermas. European philosopher, atheist. What is also interesting is that with the explanatory interpretation of Ezra 6:14 it describes only a single decree: the decree of God. They finished their building by decree of the God of Israel; and by decree of Cyrus and Darius, that is Artaxerxes, king of Persia. So we have a decree of God and he tells us it will come thru Cyrus. Cyrus gives a decree. Then we have a request for the decree of Cyrus to be checked. Darius confirms Cyrus' decree and reiterates and expands on it. The suggestion that Artaxerxes is a different king to Darius precludes a single decree. I don't think this is an argument (or at least a strong one) for Darius to be identified as Artaxerxes, more an interesting conclusion if this happens to be the case. 1. Scriptural proof of recent claims; note the context is corporate. 2. Connecting phrase. What follows relates specifically to what precedes. 3. Question relating to what was just said: Given that what I have said may appear to be unjust, is God indeed unjust? 4. Answer. 5. Explanation of the answer. It seems to me that the grammar means that if the discussion about Jacob and Esau is treating them corporately, then the discussion about Moses and Pharaoh is also because it is the explanation of why God's treatment of Jacob and Esau as nations is not unjust. I was puzzled when you said, "I have left out generic plurals as they can be read either as a plural of individuals or as individuals comprising a group (i.e. corporate)". Why do you think that's any less true when Paul talks about "Gentiles" and "Israel"? When you reach Romans 9:30-32, Paul is again talking about Jews and Gentiles as groups--and it clearly has to do with the behavior of individuals. I left out the passage not because it didn't suit my thesis, the interpretation may well be corporate, but to stay away from the debate that it is not corporate; I wanted to stick to the passages that are clearly corporate. However, as Jugulum said, perhaps my other examples were not clearly corporate, or perhaps I did not pay close enough attention to what Israel and Gentile may mean in each context. Before responding to this question I would like to point to a post of his last year on this passage, though this was more to establish who Paul meant by the term Israel in various verses of Romans. There is as much interesting material in the discussion and related posts (Jugulum is Tim). So could Paul be talking about individuals that happen to compromise a group? Possibly in some cases, but not all. I will need to look more closely at some of the verses. It is clear that Isaac, Jacob and Esau are corporate as per my earlier post. This passage raised another issue for the Calvinist interpretation, but it does seem to invalidate the "individual salvation is irrelevant, it's just about groups" argument. Individual election is not what is being discussed here (in this context), it is about group election. So to the second question: How is a group conceived as a whole distinct from the individuals it is comprised of? Philosophically this is well recognised, and there are known fallacious arguments when one ascribes qualities of the part to the whole, or qualities of the whole to the part: fallacies of composition and division. A dog can bark, but a dog's tail cannot bark. So the distinction is important because group may have a quality that the individual does not possess. If there is an argument that applies to the set, one is not justified in applying it to the component. In fact components and sets can have opposite qualities! A rope is strong, strands of cotton that comprise the rope are weak. I think that God stating that he will do things to certain groups does not mean that he must do that thru deterministically controlling individuals, nor that an individual within that group necessarily obtain (good or bad) what God has stated will be. My take on Romans 9 is still in development. I have an Arminian bent toward Scripture, but I understand how some get Calvinism from this chapter. I can read it deterministically, but this may in part be due what others have claimed, and possibly because the superficial reading seems at least consistent with elements of determinism. Superficial reading can be legitimate, I hold to a straightforward understanding of Scripture as part of my hermeneutic, but some passages are less straightforward than others, and Peter specifically mentioned that Paul was hard to understand at times (2Pe 3:16). It is likely my more developed perspective of Romans 9 will slant Arminian because of my understanding of the rest of Scripture, but I agree it is important to understand what Paul was trying to teach. All I wish to cover here is some ideas about the corporate outline of the chapter. Romans 9 needs to be taken in the context of the book and the more limited context of chapters 9–11. While Paul covers aspects of the Jew versus Greek dilemma in other chapters, such as chapter 3, the chapters 9 thru 11 seem to form the unit of discussion started in the beginning of chapter 9. With this in mind, we note that Paul in anguish about the Jewish people. From this we see that the discussion begins corporately and not individually. And the corporate focus is seen several time thru out the chapter. I have left out generic plurals as they can be read either as a plural of individuals or as individuals comprising a group (i.e. corporate), eg. But the corporate view is even stronger than the verses listed above because the individuals that are mentioned are specified in a corporate intent. A passage clearly about the 2 nations and not the individuals. These 2 examples of Isaac and Jacob show God's sovereignty in choosing nations for his purposes, and the example of Isaac also demonstrates that inclusion in God's covenant is based on God's promise, not on blood relationship. Discussions of God choosing in the context of Romans 9 are probably better seen as God choosing groups of people for his overall purposes rather than God selecting individuals for salvation. What were we? Before conversion, we were unrighteous, alienated, and enemies of God. And this is not figurative language or hyperbole. We concern ourselves with terror attacks, invest in costly alarm systems for our homes, and fret over whether our cars have side air bags—all in an attempt to feel safe and secure. But imagine for a moment what it would be like to have the God of the universe as your enemy. The Bible says we really were at enmity with God, and more to the point, he with us (cf. Ja 4:4)! They builded and finished it according to the commandment of Cyrus and Darius (even Artaxerxes), King of Persia. This translation comes from the suggestion that the letter "waw" (ו), which is translated as "and", should be understood in this passage as being explanatory; and should be translated as "even", or "to wit", or "that is". Though this suggestion is not followed by any current Bible translations in this passage (that I am aware of), it is reasonable suggestion. "Waw" is translated like this elsewhere (eg. 1 Chronicles 5:26). Hence Anstey's translation identifies Darius as Artaxerxes. The word Artaxerxes is an appellation like Pharaoh. The word Xerxes survives to this day. It is the ancient form of the modern "Shah." "Arta" signifies great or noble, and "Arta-Xerxes" is the exact equivalent of Darius the Great or Xerxes the Great. Similarly the son and successor of Darius Hystaspes, Xerxes in his Inscription at Persepolis, calls himself in one sentence "Xerxes the great King" and in the next "Darius the King." Abraham Zacutus (15th Century A.D.), astronomer to Emanuel, King of Portugal, David Ganz of Prague (d. A.D. 1613) and the Sedar Olam Zeuta or the Lesser Chronicle of the Jews (Anonymous, A.D. 1123), all tell us that "Artaxerxes among the Persians was the common name of their Kings as that of Pharaoh was among the Egyptians." We see that the Hebrew text allows Darius to be identified as Artaxerxes, and it seems reasonable that Artaxerxes could either be a 2nd name or possibly a title. Further evidence that Artaxerxes should be identified as Darius is the greater context of Ezra-Nehemiah. There is no decree by any other Artaxerxes to build the temple. The decree by Artaxerxes in Ezra 4 is to stop building the city. The decree of Artaxerxes in Nehemiah concerns building the city walls, and anyway it postdates the completion of the temple which Ezra 6:14 is referring to so the passage cannot refer to Artaxerxes' words to Nehemiah. Writing on a potsherd found over a year ago in Qeiyafa near the Elah valley has been deciphered by Professor Gershon Galil of the University of Haifa. It is said to be the oldest known extant inscription in the Hebrew language. 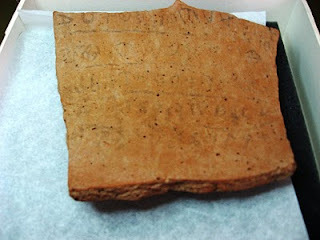 The potsherd was radiocarbon dated to c. 1000 BC which is around the time of King David. Interestingly Elah Valley (if it has been identified correctly) is the location of the famous fight between David and Goliath. I take the radiodate with a degree of scepticism; while useful, radiodates need to be calibrated to artifacts of known dates due to the problems around the amount of carbon 14 in the atmosphere versus biosphere and the variable rate of production. 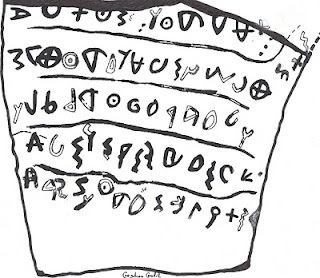 The Qeiyafa inscription used what was described as a proto-Canaanite (variant paleo-Hebrew) script, but as that was also used for other languages the fact it was Hebrew awaited translation. Prof. Galil's deciphering of the ancient writing testifies to its being Hebrew, based on the use of verbs particular to the Hebrew language, and content specific to Hebrew culture and not adopted by any other cultures in the region. "This text is a social statement, relating to slaves, widows and orphans. It uses verbs that were characteristic of Hebrew, such as asah ("did") and avad ("worked"), which were rarely used in other regional languages. Particular words that appear in the text, such as almanah ("widow") are specific to Hebrew and are written differently in other local languages. The "Austrian" economic insight that money is a claim on resources, and that two people cannot hold the same claim on a resource at the same time, needs to be relentlessly rammed home. The Center for the Study of New Testament Manuscripts is a very useful ministry which produces high quality facsimiles of New Testament manuscripts and catalogues them. They have discovered some manuscripts that are not known from other catalogues. Recently they were invited to photograph an undocumented manuscript. This would be exciting except it turned out to be fraudulent. And so the riddle of an unknown Greek manuscript is solved. What could have been a thrilling new discovery turns out to be a modern forgery. The work was not all in vain, of course. In the process our team learned a good deal about how to spot a forgery. Read about the events leading to this conclusion here. I started blogging at the beginning of 2007. I had thought about it for some time prior but was cautious as I was uncertain if I would sustain it. I have managed to thus far, though have wondered whether it is a good use of my time. I was and am a reasonably avid reader. While I may read more online and less on paper than previously, I continue to read a significant amount of material. Some time before I started blogging I felt mildly guilty for this; not so much the reading, but that I was not doing anything of value with such information. Though I no longer think like this, blogging is an outlet. Generally I wonder whether specific tasks are a good use of my time. I think Christians should enquire of God what they do and act on the answer. There are reasons for this belief which I won't get into here, but the question remains: How do we know the answer? I tend to be slow to make decisions or act. A friend of mine suggested trialling things to see where they go, being prepared to drop them. I attempted a couple of things that did not continue. I am uncertain whether my blogging antedated my friends comments but it seems to have continued. Still it takes up a lot of time writing posts. Checking sources for ideas you think are true, finding useful links, writing the post, and proofreading (something I possibly do too much of, I am not certain I quite get the nature of blogging). One should review his activities from time to time. Even if I enjoy it, it may not be the best use of my time. Or it may be a pointless waste of time; feedback is much different online. For now I plan on continuing and here are some thoughts I have had over the last few years, that may be of interest. I have thought that blogging likely peters out for many. I have not seen figures but this seems to happen frequently. I did not assume I would necessarily be different. So my plan was to post on a sustainable frequency. I thought weekly would be a moderate target, which can be harder than it seems depending on the type of posts one writes. I have managed to average twice weekly over the last 3 years. I enjoy clever quotes, but have too many for a monthly quote, I plan to go to weekly, though I hope to maintain weekly posts otherwise. Scheduling is useful. I may write in spurts, and don't finish a lot of what I start, at least not for some time. Using scheduling allows for smoother posting rather than 4 posts in one day then none for a month. And it is useful when holidaying, though I still have to write them beforehand. I don't have the problem of not enough to write about. Apparently some people do. I have more than 100 draft posts in various stages of completion, and many more ideas that have yet to make it to the keyboard. I think that carrying and using a dictaphone to record thoughts as they arise would be beneficial, though probably a little eccentric. Should one be anonymous? The decision for anonymity is difficult. Some people insist that real names reflect honesty. But it may limit what you wish to write about. Employers, friends, acquaintances, parishioners are prepared to make judgments and act on them, even if they don't understand or misinterpret what you are writing. I think on balance it is preferable to choose a moniker initially. More information can be revealed at a later stage, but it cannot be removed. As mentioned, feedback is different online. More people read your blog than comment (I think). But who and how many read? I installed a counter sometime during the first year. I recommend this, though WordPress keeps blog statistics. I don't think one should get too focused on the statistics, however they provide some idea of whether people are reading your posts and what is popular. Nevertheless comments are helpful. Even if you do not add much to the post, comments are feedback to minor players in the blogging world. Bloggers do well to acknowledge comments from newbies, something I am not consistent with. I guess many bloggers desire traffic. I appreciate traffic, but I think increasing exposure is possibly preferable. What do I mean in distinguishing traffic from exposure? I think I write stuff that may be of interest to some people, and hopefully may be helpful to a few. 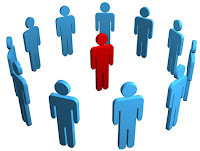 So it is not so much the numbers (traffic), if I bore you, go somewhere else that you find more interesting; it is getting those who do not know you exist but who share some common interest to become aware of you (exposure) that is the difficulty. One possibility is to search out other sites, read a few posts, and comment on the sites you find interesting. Some of those people may find you moderately interesting. An argument is what convinces reasonable men and a proof is what it takes to convince even an unreasonable man.